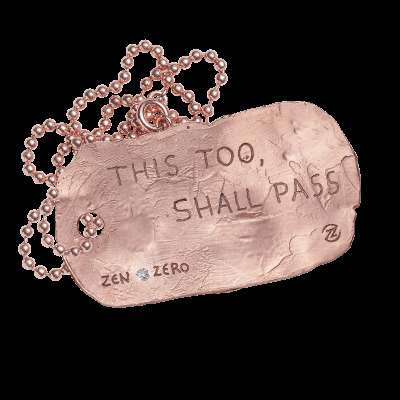 Leave it all behind you. 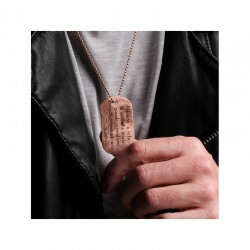 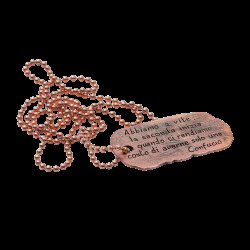 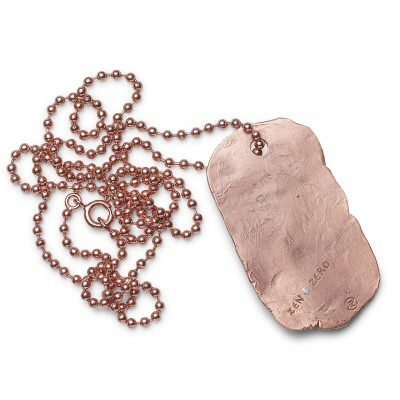 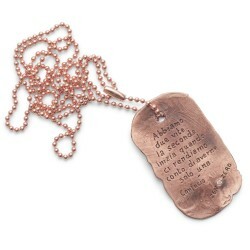 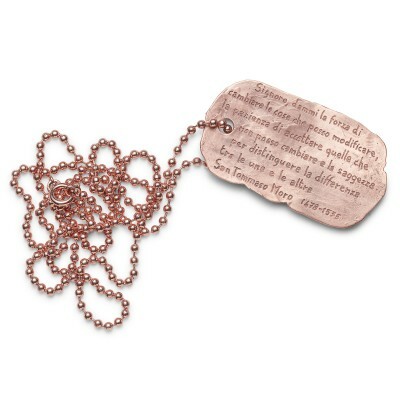 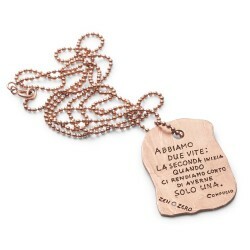 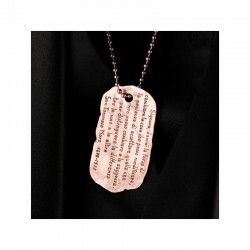 This military tag pendant is entirely handmade in an exclusive gold-layered pink bronze alloy with a 2-point natural diamond. 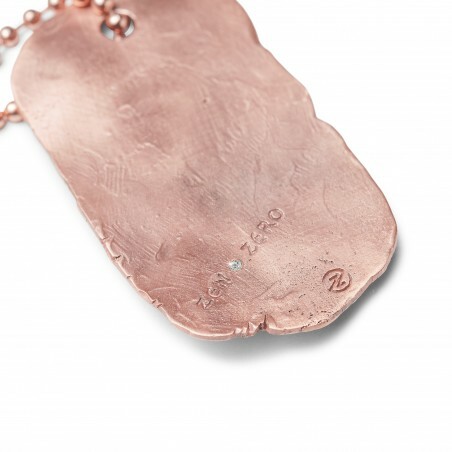 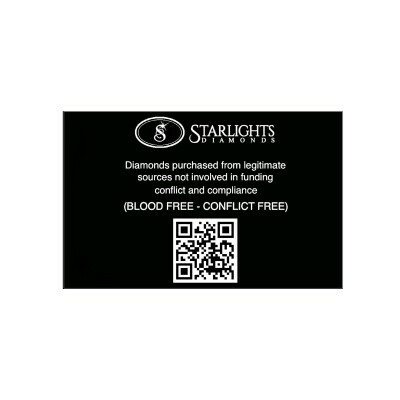 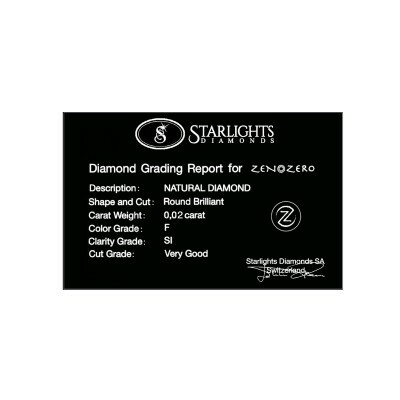 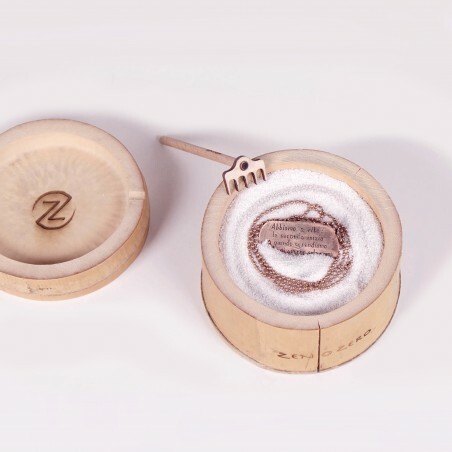 The imperfections of the surface, the peculiarities of the diamond and the serial number engraved inside make your jewel unique and distinctive.